What a bunch of idiots! 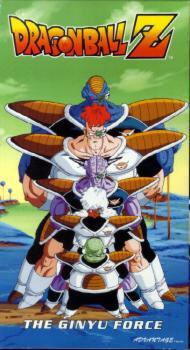 These five fighters are supposedly the strongest team in the universe. If they'd cut Guldo, Burter, Jeice, and Recoome and then add four more Capt. Ginyus maybe they'd have a team... These guys have some pretty funny hobbies though- eating chocolate nut bars, watching soap operas, and playing rock-paper-scissors to see who will fight who. Capt. Ginyu has the awesome power to switch bodies, though that power leads to his demise when he switches with a frog thanks to Goku.